At K-Max we offer friendly straight-forward advice, value for money, quality workmanship and a service that you can trust. 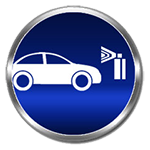 K-Max is a family-run MOT test centre and garage in New Barnet offering, MOT tests, car servicing and repairs. Our garage services have been in operation for over 20 years and we are very proud of the reputation of our MOT, servicing and repairs centre. K-Max is renowned for the quality and integrity of the garage services that we offer. Our team of mechanics, testers and repair specialists, panel beaters and sprayers take great pride in ensuring that their work is completed to the highest possible standard. At K-Max we always endeavour to ensure that the safety our clients vehicles comes first, regardless of the nature of garage services that they are using us for. As a VOSA approved MOT Test Centre we are qualified to thoroughly check your vehicle and ensure that it meets the minimum MOT Test safety requirements. 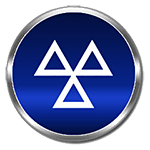 Our MOT tester will check to ensure that your vehicle meets the legal requirements of the MOT test and is safe to drive on the road. 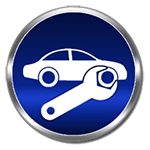 We will advise you of any faults or failings found on your vehicle and are able to perform the necessary repairs ore fit the replacement parts to get your car safely on the road as soon as possible.